Coyote Trapping Warning! Read this before you hire a trapper. Warning! Need Coyote Trapping? Read this! CONSIDERING COYOTE TRAPPING SERVICES? KNOW WHAT TO ASK BEFORE HIRING SOMEONE. First, let me put your mind at ease. Coyotes have lived among us for a long time and seldom do we see them. If you see a coyote it does not mean that it needs to be trapped and ultimately euthanized just because you saw it. The problem is that they are forced to co-exist with us and they are starting to adapt to an easier food source – typically our house pets. That is when trappers get the call to go into action. Relax, if done properly, there are people professional trained and licensed to “Get them OUT”. It is common that when we get called to provide coyote trapping services that small pets have been disappearing. The stolen pets typically are free-roaming house cats (an extremely capable predator who has decimated the songbird population) which become the prey. The only time we will agree to trap is if the conditions are perfect (safety) and the coyote are acting badly (aggressive). 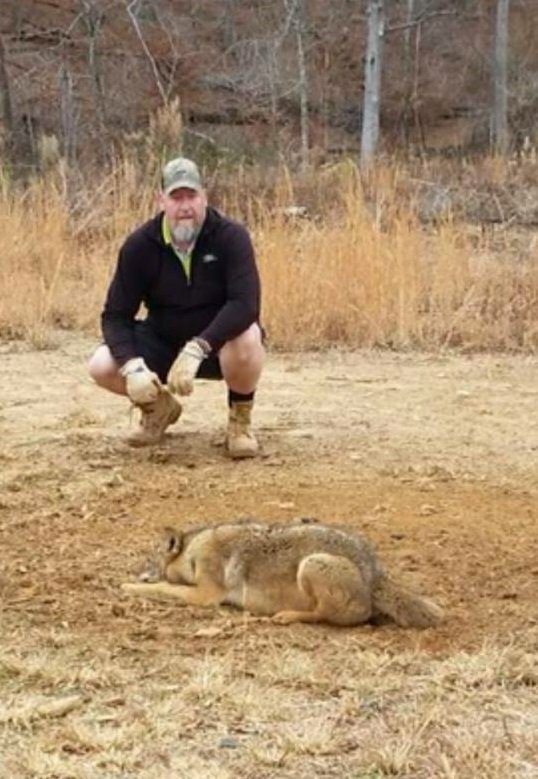 If we remove a coyote just because it is there then it will make room for another coyote and who says the new one is not even more aggressive? IMPORTANT CONSIDERATIONS BEFORE HIRING COYOTE TRAPPING SERVICES. Let me provide you with the following video demonstrating the exact trap that is used for coyote trapping. 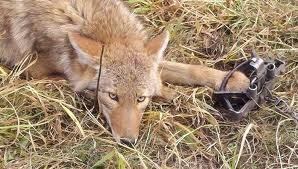 This will dispel any myth that the traps cause injury to the coyote that is trapped. Our trapper uses his fingers on the video to trip the trap. Keep in mind, fingers (metacarpals) are more fragile than a leg bone (tibia) of a coyote or fox. 2. Where is the trapping to be performed? Is it in the common areas of a subdivision or private property? Private property provides more control for the trapper. On a subdivision’s common areas we are able to use caution tape in parts of the area to warn people that trapping is ongoing & we ask that an email gets sent out to all of the residents advising them of our trapping. 3. Do children have unsupervised access to this tract of land where trapping will be performed? HERE IS THE SINGLE LARGEST RISK FACTOR, WHICH AS A MOTHER, IT TERRIFIES ME. (Yes, I am a Female) Let’s say traps are set. 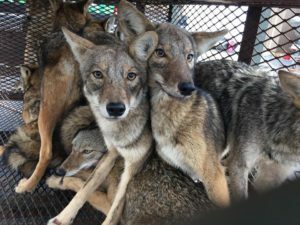 More times than not, the traps will be a humane foot restraint traps on the end of a chain that simply hold the coyote by its foot until it is safely removed. A trapped coyote will run around the perimeter trying to get away. Once they realize the cannot get away they lay down submissively just waiting. My fear is caused by a call that I personally handled one day when a photographer saw “a sweet little dog” caught in a trap on some private property along a highway. Once I had him describe the “doggy” – I quickly realized “He does not know it is a coyote”. He asked if he could go and release it. I sounded alarmed and said firmly… “Sir, have you had your rabies shots & Do you have a high threshold for pain?” He said, “NO, Why?” I said as soon as you go over to the sweet little doggy and get within that circle he wore down you can be reached – he will attack you. He will tear into your flesh… let me know how that works for you!. That stuck with me to this day. What if a child saw this coyote and wanted to pet it? Hence that is why first light (early) trap checks are imperative when trapping coyote in subdivisions. It is the law that the traps are checked every day! 4. Are there often free-roaming dogs in the neighborhood? All dogs must be leash walked while we trap. What attracts a coyote into the trap will attract a domestic dog. Although they are never seriously injured it is more traumatizing to the pet owner when we have to come and release their dog. 5. Does anyone know or suspect where the den is located? It just makes the trapping easier or at least the initial walk-through to find any sign that coyote left behind. 6. How long has there been sightings & when was the last time seen? We need to make sure the coyote is still in the area. Why trap if they are outside our range for lures & baits to work. 1) How often do the check the traps & what time of day? 2) What if you get a coyote that will not mellow out and is making a lot of noise in the middle of the night? Will they come out at 2 am – if necessary? 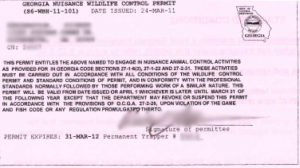 Georgia DNR Nuisance Wildlife Control Permit. 4) To trap Coyote in the State of Georgia out of Season you need a Resident Trapping License issued by the Department of Natural Resources. 5) Do they have General Liability Insurance? Is it valid? Ask for a copy of their “Certificate of Insurance”. Since they are going placing traps on your property there are risks involved. Make sure they are insured just in case there are any unexpected issues; minor or catastrophic. They need to be covered for your protection. 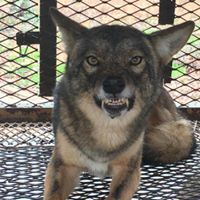 By no means should a trapper be liable for anything that happens as a result of the coyote being trapped but more so if the trapper damages something in the process. 6) Check out their reviews online with whatever website you feel is credible. Let’s say you are working with, thus far a company named ABC Wildlife. I always run a search for the keywords “ABC Wildlife Reviews” or just “ABC Wildlife (your city name)”. This will give you all kinds of information that will help you to make an informed decision. 7) Never be afraid to ask questions. If the WCO acts annoyed by having to answer the questions… They are not the right company for you. Simply move on to another company. It is a part of our job to explain the process. They should welcome all questions. It is the LAW to check the trap EVERY single day. More humane to the coyote trapped to get them out quickly. It is disgusting to hear when a trapper leaves coyotes in the traps and only checked them one or two times a week… Really? It makes the most out of your trapping dollars when a trapper comes in quick & hard and hits the Coyote before they realize what is happening. Plus an ineffective trap is losing you money, it needs to have the bait refreshed, more lure added and/or possibly the trap moved. We hope you found this website to be helpful.